Sesame is most probably the first ever plant from which edible oil was extracted. One thing is for sure, its seeds have been used for over 7,000 years, as proven by archaeological remains found in India and in China. 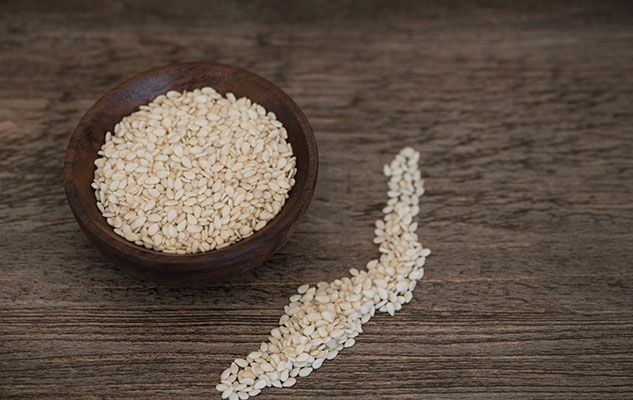 The famous “Open Sesame” phrase from Ali Baba’s cave reminds some people of the fact that sesame pods open up to reveal a nutritional treasure: they are in fact a rich source of fibers and minerals and recent studies have also revealed their antioxidant properties. So use roasted sesame seeds to enhance the flavour of your dishes, and sesame oil to season not only your salads but also your cooked dishes. This week I’ll show you a good example of how to use it in Japanese style chicken skewers. Originally published in the Journal de Montréal on May 17, 2008.